Palisades State Park campground is next to the beautiful Split Rock Creek and has 34 single-family campsites and 6 cabins. Youth group campsites are also available. The park is famous for the spectacular 50-foot quartz formations that line the creek. All campsites have electric hookups and some have full hookups. Each site also has a table, fire ring and grate. The campground is heavily wooded offering plenty of shade in the summer. Amenities include drinking water, vault & flush toilets, hot showers ($) and a dump station. Firewood is also available or sale at the park. There’s also a playground, picnic area, hiking trails, overlooks, biking trails and an amphitheater. Palisades State Park features Split Rock Creek, which flows through the park through quartzite formations. There are many scenic overlooks and the park is popular with rock climbers, hikers, sightseers, photographers, campers and wildlife enthusiasts. There is also a historic flour mill site and other historic sites to explore. 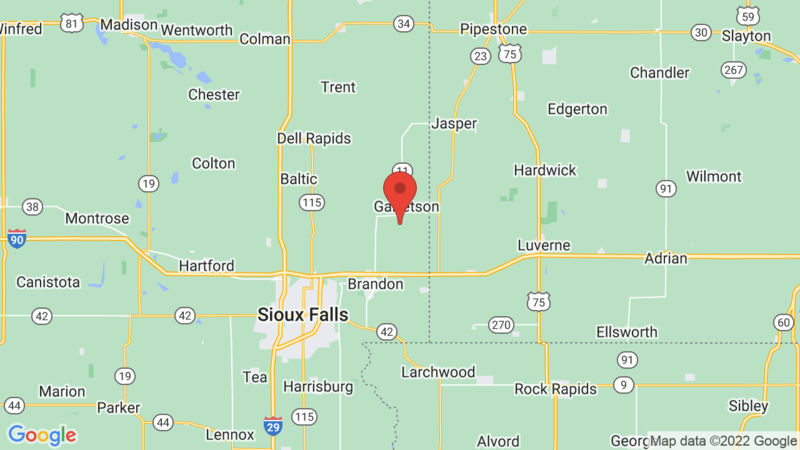 Big Sioux State Recreation Area campground is just 13 miles to the south. It has 50 sites with electric hookups. 9, 10, 11, 14, 17, 32, 37. Visted Palisades State Park Campground lately? We'd love to hear about your adventure. Did you find us useful? Did we forget something? 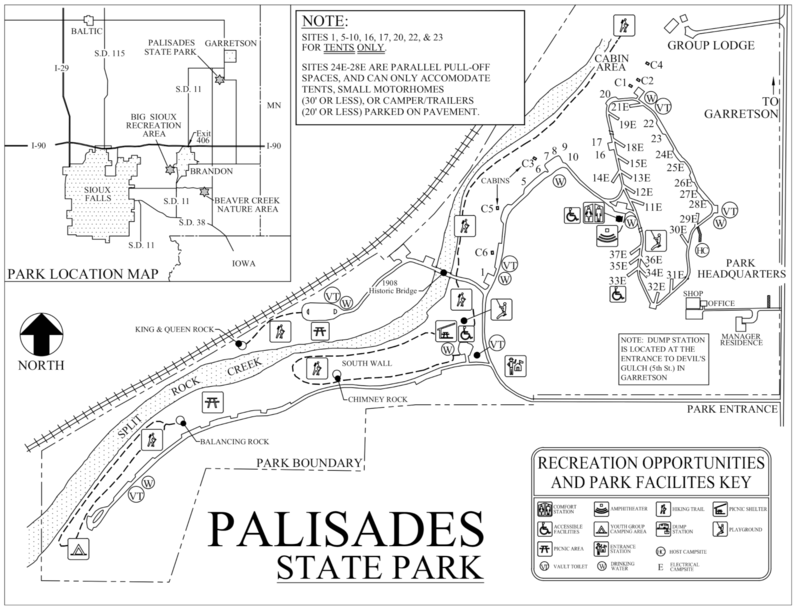 Anything our community should know before heading out to Palisades State Park?